The Blue Jays knocked off the Talofofo Rangers 8-6 to start the weekend Amateur Summer Wood Bat League action. Keith Castro tossed a complete game allowing four earned runs on ten hits with three strikeouts to notch the win. Donovan Santos was 3 for 4 and scored three runs for the Blue Jays. Brandon Bamba chipped in with three hits and three RBI. The Blue Jays close out the regular season with a 5-3 record. The Rangers are 2-5 with one game left to play. The Barrigada Crusaders improved to 5-1 on the season with a 7-2 win over the Rooks in the Saturday nightcap. Crusaders starting pitcher Mike Concepcion went the distance scattering seven hits over seven innings with eight strikeouts. Tyler Bautista was 2 for 3 with two runs scored for the Crusaders who had five players collect two hits. Freddy Malaca had three hits in the loss as the Rooks drop to 2-5 on the season. Matt Muna launched the first homerun of the season blasting a three run shot over the left field wall to help lead the AutoSpot Canyons to a 6-2 win over the Kosrae Speedos. Mateo Matanane went four solid innings allowing two earned runs to get the win. Florencio Binuya closed out the back end blanking the Speedos over the final three frames to notch the save. The Canyons close out the regular season with a perfect 8-0 record and the #1 seed heading into the playoffs. The Speedos drop to 2-5 on the season. 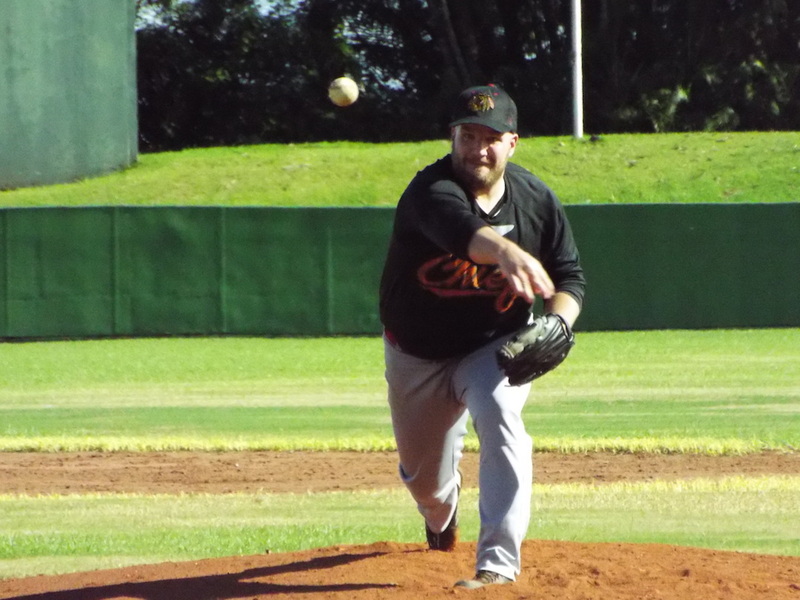 In the Sunday night cap the Sumay Chiefs spanked the Sinajana Giants 14-0 behind a two hit shutout by Allen Dill. Dill faced just one hitter over the minimum allowing two infield singles to help even the Chiefs record at 3-3. The Chiefs defense turned four double plays and the offense provided plenty of runs support. Dave Santiago led the way going 2 for 2 with two runs and three RBI. Devin Bigby added three hits with two runs scored and an RBI. The Giants close out the regular season 1-7 and secure the #9 seed for the playoffs.